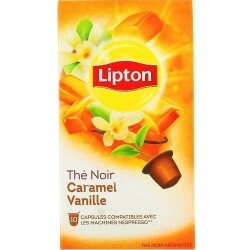 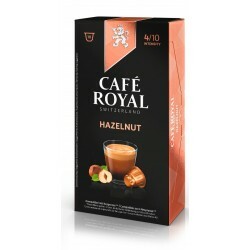 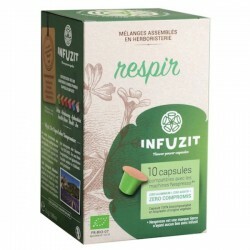 Infuzit Digest compatible Nespresso ® capsules. This active herbal tea consists of a mixture prepared in herbal medicine to prevent bloating. 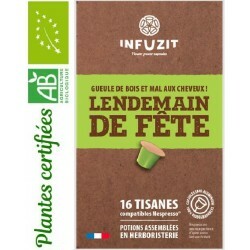 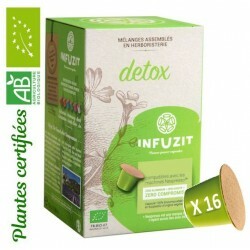 This Infuzit herbal tea consists of organic plants: coriander, green anise, fennel, cumin, chamomile and mint. 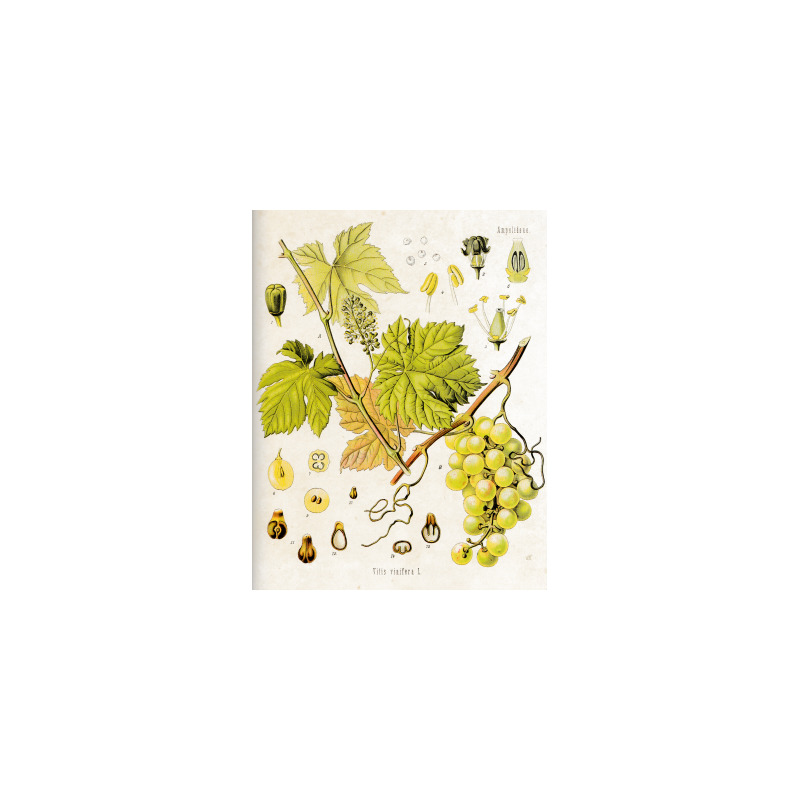 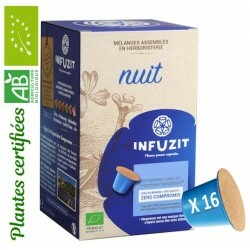 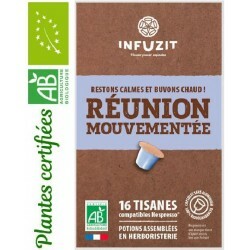 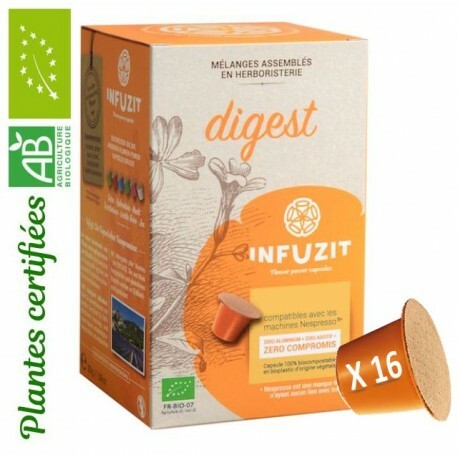 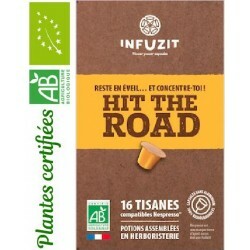 Infuzit Digest capsule is an active herbal tea from organic farming and is Nespresso ® compatible. 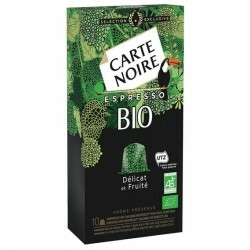 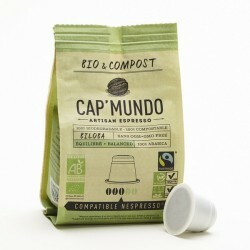 Its capsule is 100% bio-compostable made from corn, it is made in the south of France. 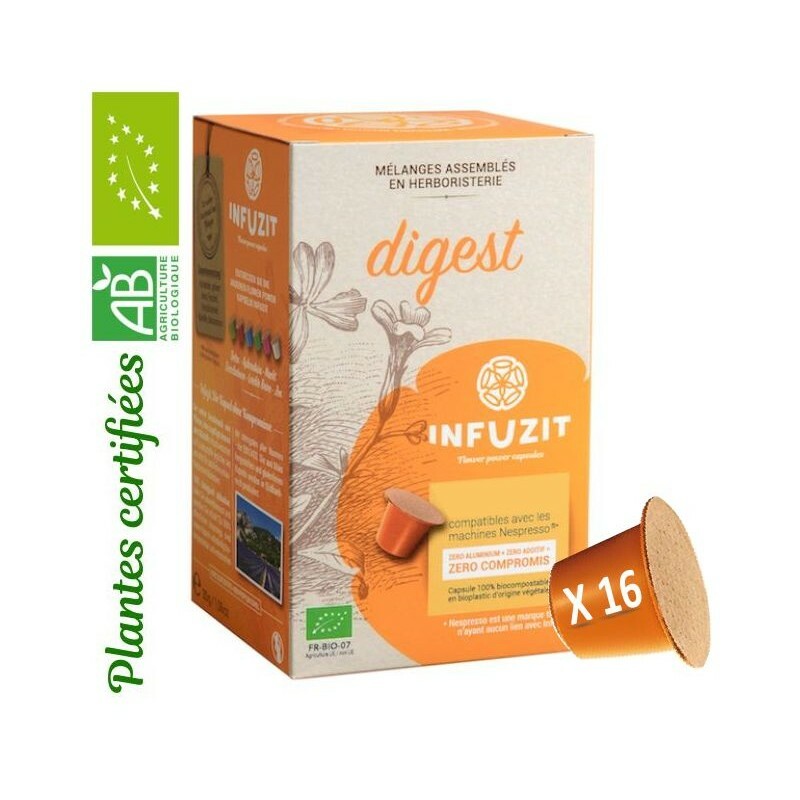 Infuzit Digest is an active flower very flowery, this Nespresso ® compatible capsule is assembled in herbalistically from exclusively organic digestive plants: coriander, green anise, fennel, cumin, chamomile and mint nanah.